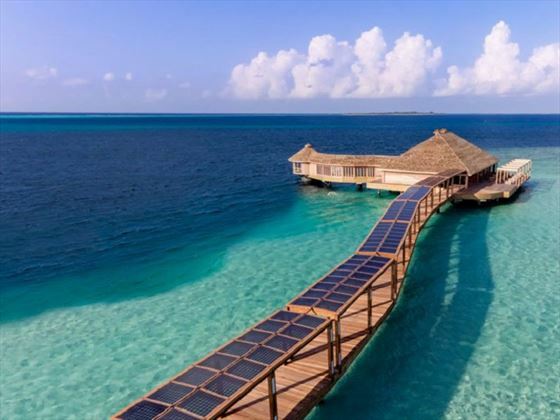 Nestled on its own private coral island and encircled with a jaw-dropping azure lagoon, Hurawalhi Island Resort offers true barefoot luxury, and an undeniably romantic ambience. The serene and intimate vibe is enchanting, and is ideal for couples looking for a romantic getaway. 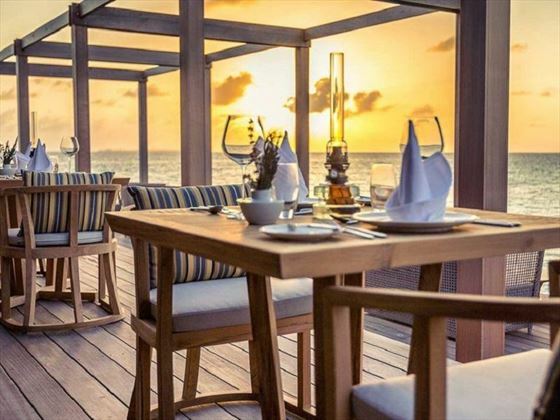 Hurawalhi is for guests of 15 years and older, and there are plenty of incredible moments to be shared, including a unique dinner in 5.8 Undersea Restaurant – a beautiful restaurant found 5.8 metres below the sea. With phenomenal views of the sunrise or sunset, the villas here are your own little slice of paradise. 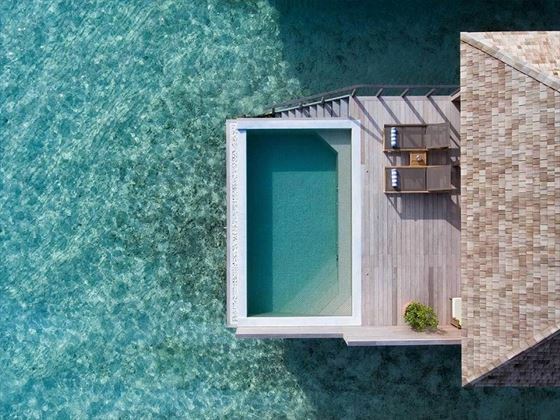 The Beach Villas and Beach Pool Villas are only steps away from the powdery white sands, whilst the Ocean Villas and Ocean Pool Villas are perched over-the-water, giving you direct access to the crystal-clear lagoon. The earthy tones and contemporary décor adds a luxurious edge too. 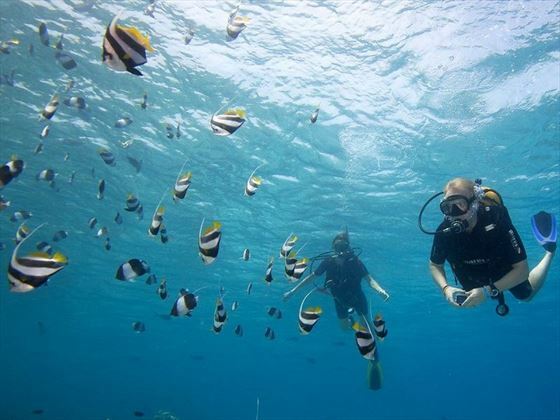 As well as the remarkable 5.8 Undersea Restaurant, there are plenty of other decadent restaurants serving up a feast of freshly prepared international cuisine. The over-the-water Aquarium Restaurant offers sensational seafood, whilst loved-up couples will love a secluded moment on the Champagne Pavilion. The utterly relaxing Duniye Spa is the ideal place to unwind, or if you fancy upping the adrenaline up a notch there are plenty of land and water sports available. After a day of relaxing by the infinity pool or riding the waves on a jet ski, be sure to try out the Aquarium Bar for a quiet evening cocktail. 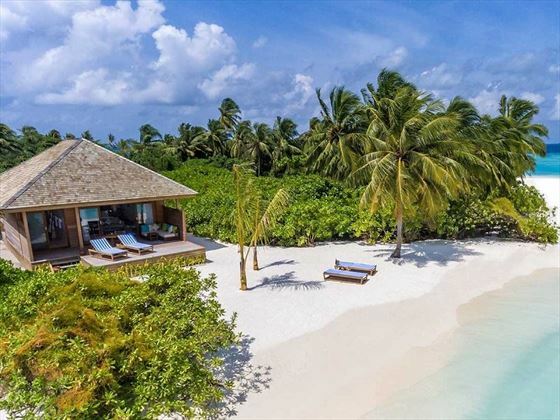 Located on a private coral island in the Lhaviyani Atoll, surrounded by a breath-taking lagoon and house reef, the ambience here is wonderfully exclusive and tranquil. This is the only resort on the island, so you’ll enjoy a very secluded and intimate experience. Hurawalhi operates +1 hour ahead of Male for daylight saving time, your onwards seaplane to Male Airport will reflect Male time. 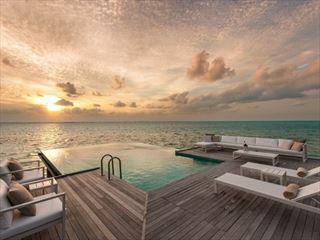 15 Ocean Sunset Pool Villas – Over-the-water 132sqm villas nestled in the lagoon, a short walk along a private jetty and featuring a private outdoor area fit with an infinity pool under the stars and stairs leading into the sea. 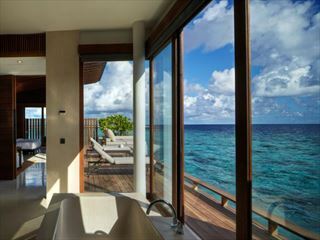 15 Ocean Pool Villas – Larger 132sqm over-the-water villas with a private infinity pool. 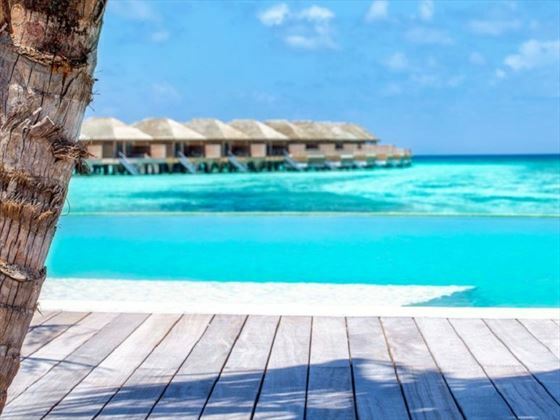 15 Romantic Ocean Villas – Romantic 105sqm over-the-water villas with sunset views which feature a bathtub in the private outdoor area. 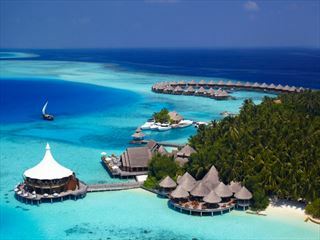 15 Ocean Villas – Luxurious 105sqm villas nestled on stilts over-the-water. 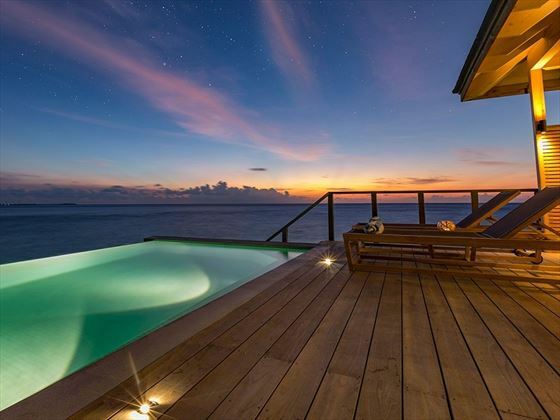 15 Beach Sunset Pool Villas – Picturesque 132sqm villas set on the beach, with wonderful sunset views and a private infinity pool. 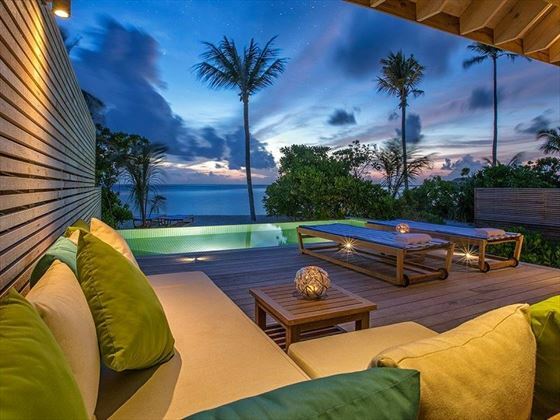 6 Beach Sunset Villas – Gorgeous 105sqm villas nestled on the beach with a sunset view. 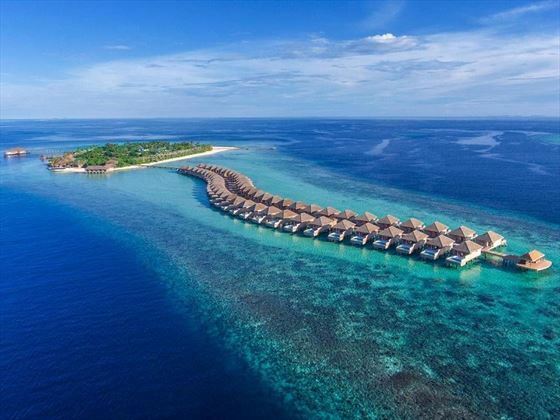 9 Beach Villas – Warm and welcoming 105sqm villas located on the beach. Canneli Restaurant – A charming all-you-can-eat buffet restaurant, offering a wide range of delicious cuisine for breakfast, lunch and dinner. The open-air dining room has live cooking stations, and serves up a variety of International and Asian fusion dishes. 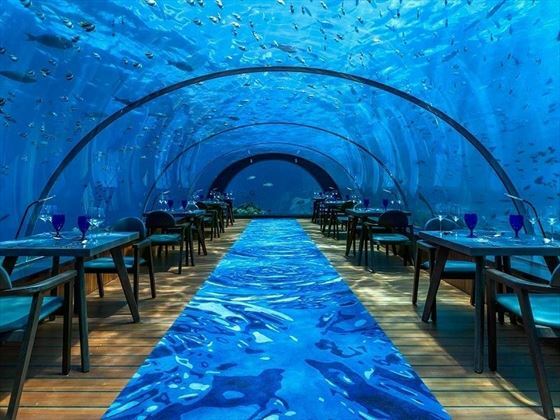 5.8 Undersea Restaurant – A truly one-of-a-kind dining experience. Nestled 5.8 metres under the water, you’ll have incredible views of the coral reef’s tropical fish as you dine on world-class tasting menus and fine wines from the hotel’s cellar. 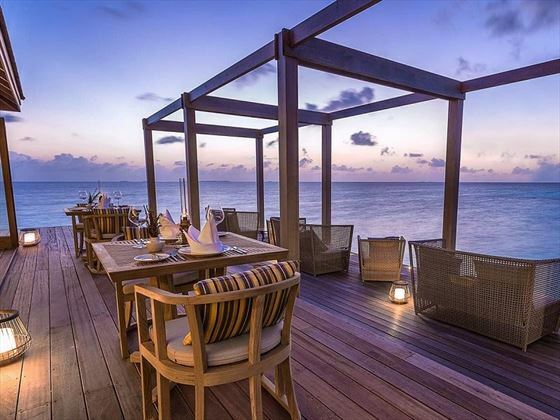 Aquarium Restaurant – A gorgeous over-the-water restaurant serving up a sumptuous feast of international fare. The menu specialises in fresh seafood, prime beef, and a variety of Asian cuisines – including fabulous Teppanyaki grill show cooking. Other dining experiences – Guests can also grab a light snack at the Coco Bar and the pool, and there is also opportunity to dine in your villa or on the beach by candlelight. 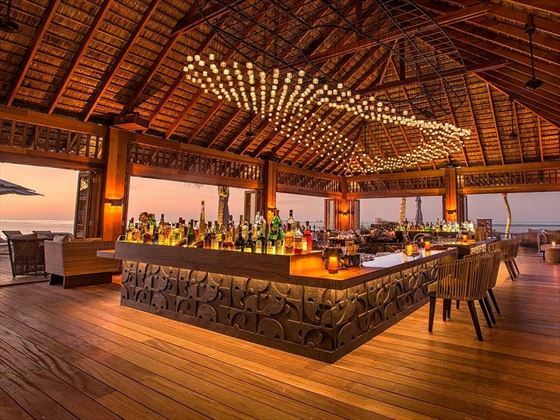 Coco Bar – A pretty beach bar with an expansive deck overlooking the lagoon, offering beautiful sunset views as you sip on your favourite pre-dinner beverage. There’s also evening entertainment, including a big screen and board games. Aquarium Bar – Perfect for a secluded after-dinner drink listening to the gentle sounds of the waves. Champagne Pavilion – A lovely over-the-water bar at the end of the Ocean Villa jetty, ideal for a romantic Champagne toast and canapes as the sun sets. Duniye Spa – Perched over-the-water, this beautiful spa adopts a simplistic and wholesome ambience, using healing energy and Asian massage techniques to revitalise your mind, body and soul. Following a natural and holistic approach, this is the perfect way to unwind. Nestled on a private island, you’ll have long stretches of white sand beach everywhere you go.